This is the one game that convinced me to finally go next gen after really not being interested in doing so. The last few months since Fallout 4 was first announced at E3 in June have flown by and Fallout 4 is here. This will be a genuine first impressions. I’m going to just have a play for a few hours and write down anything that comes to mind and I’m playing on the Xbox One. I have avoided anything to do with this game except for the reveal trailer at E3, so I’m going into this relatively blind. I’ll try to avoid story spoilers, but as I don’t know the story, I don’t know what are or are not spoilers. First up after the amusing installation films, title screen with that music and opening cinematic (War, war never changes) is the character creation. We are spoilt for choice here. There have been some great character customisation tools in other games like the OTT Saint’s Row IV one. Fallout 4’s offering is amazingly detailed with plenty of options to play around with using a “sculpting” idea. Just highlight the facial part you want to change and a plethora of options open up for each individual feature. You can alter any part of the face you want from eyelids (both top and bottom), ears, earlobes, cheekbones, chin and many more. Plus the option of being male or female too. Then you can even alter the body make your character fat, thin, muscular or even a combination of all three. Having a good character creation in a game like this is really important to me as it allows you to really embody the character and also helps with the immersion, even though this is mostly a first person game so you never really get to see you character (for the most part anyway except with conversations and other parts and there is a third person view option) knowing you created the character adds a whole new level of immersion to the game. That is effectively me in the game and that is how I think of the character when I play as them and the decisions I take. Okay, my character is created. Let’s see what the world of Fallout 4 has to offer. Almost forgot, for the first time in a Fallout game, your character is now fully voice acted. But there only seems to be one voice option for the character, or at least I can’t see anyway to change/alter the voice. 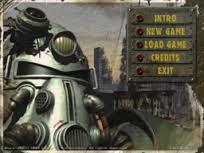 Just playing through the opening of the game and for the first time in the Fallout series, we get to see the world pre-nuclear war (Not including simulations in previous games) as you walk around and interact with your pre-war home. It has a really nice 1950s aesthetic and vibe. I feel like Marty McFly. Before I crack on, I just want I address the elephant in the room with Fallout 4, the graphics. Now I already touched upon this earlier this year when Fallout 4 was announced as there was a lot of backlash about the graphics and that backlash is still on going today too. Fallout 4 is not the most handsome game on the market, I admit…but Bethesda games never have been anyway. Yet what Bethesda games always offer is deep immersion, huge and interesting game worlds, well written characters, interesting plots and best of all, hours and hours and hours of variety and gameplay. If you are a Fallout fan complaining about the graphics, then you are not a Fallout fan at all. This is why I wanted Fallout 4, the gameplay not the graphics. There is a reason Fallout 3 is still talked about and regarded as one of the best games ever and it has nothing to do with graphics. By the way, the Xbox One version of Fallout 4 comes with a free digital copy of Fallout 3 to play via the backwards compatibility. So that’s pretty damn great. But I do have to say from what I’ve seen so far, the graphics of Fallout 4 are fine and now I’ve seen them first hand, they are better than I was expecting. There have been reports on frame rate issues but I have not seen any…yet. Enough about the graphics, lets see what this game is all about. Just wandering around my pre-war home and it looks very nice. 50’s music playing on the radio, the TV, the terminology the NPCs use when you interact with them is all very authentic. The conversation mechanic has been tweaked and now much easier to use, I like it. 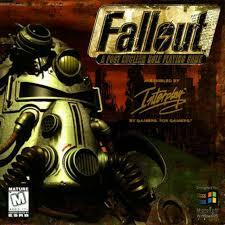 The news reports are saying nuclear missiles have been exploding all over America, time to get to the vault. I’m now able to (lightly) explore the town as I make my way to the vault. Sirens are going off, there’s a military presence and the residents are panicking. Its all rather tense. Made it to the vault and have to say for something so simple, that was quite exciting. Avoiding spoilers, things have gone very wrong at vault 111 and I am now trying to find my way out. I am finally free of the vault and out into the wastelands and openness of Fallout 4, time to really see what this game has to offer. It all looks very familiar now with the destroyed towns, bleak outlook, nuclear fallout, etc. Just found Dogmeat, a regular to the franchise and your companion through this game. Also found a workshop where you can construct power armour and even structures, furniture, resources and so on. There is a whole new crafting mechanic to Fallout 4 now that allows you to build and create settlements. Looking forward to experimenting with that in detail later. But for now, me and Dogmeat are off for a spot of exploration. The world is very detailed and despite the dilapidation, it all looks really nice with plenty of variation from big towns, forest areas, other vaults and many others too. Just wondering around the map and finding new locations. Found a couple of towns that seem to have plenty to explore and discover in them. A few bits of farmland with workstations which means I can build there. Also found a few trading stations. Well I think that’ll do for now, played for a couple for hours and reached level 5. This was only a quick look at my big game for 2015 and from the very small amount I’ve seen so far, its really great. I did notice a few graphical glitches though. Nothing major but things like lip syncing being out on some of the conversations, some minor clipping problems (Dogmeat did get stuck in a wall) and that’s about it really. No frame rate drops, no freezing up or anything. I sank 100’s of hours into Fallout 3 (finishing it several times, playing the DLC, etc) and I can see me spending many more hours with Fallout 4 (and Fallout 3 again with my free copy). Can’t wait to really dig deeper with Fallout 4 as even if you played for 8 hours straight, you’d still only just barely scratched the surface. There are hours and hours of Fallout 4 for me to enjoy yet, and enjoy Fallout 4 is exactly what I intend to do. This entry was posted in LBoM: Editorials and tagged Bethesda, Fallout, Fallout 3, Fallout 4, LBoG: Editorials, Little bits of gaming on 10/11/2015 by Steve Perrin.